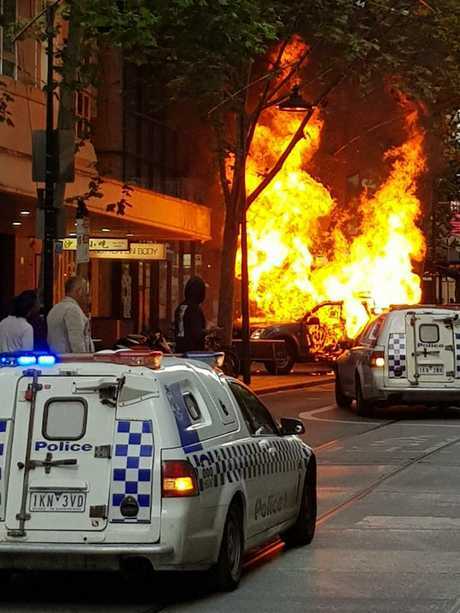 The scene on Bourke St during a lone wolf terror attack in Melbourne on Friday. Australia doesn't have an official "terror watch list" despite reports the Melbourne terrorist who killed a man in a stabbing frenzy on Friday had once been on it. The Australian Security Intelligence Organisation's (ASIO) "terror watch list" has been referred to on many occasions by authorities, including former prime minister Tony Abbott, who once said Lindt Cafe siege terrorist Man Monis had "dropped off" it. But according to ASIO, it doesn't even exist. "ASIO does not maintain a 'terror watch list'," a statement from the organisation to our sister paper news.com.au read. Anyone deemed to be a risk to national security can be investigated by ASIO or the Joint Counter Terrorism Team, which the agency is part of along with state and Federal Police (AFP). Instead of monitoring all persons thought to be capable of carrying out an attack, ASIO cherrypicks who to watch closely based on "a range of prioritisation systems and review mechanisms". The domestic intelligence agency reportedly operates on a "grid" framework which categorises the level of surveillance and investigation it applies to any of the hundreds of Islamic radicals who at any one time are of security interest to the agency, The Australian reports. According to the newspaper, the grid is organised into ­concentric circles, with subjects moving from the centre, where scrutiny is at its most intense, ­towards the periphery, where the level of surveillance is gradually scaled down. ASIO has more than 400 "high-priority" counter-terrorism investigations on its radar, according to the agency. "Consistent with long standing practice, ASIO does not comment on individuals, intelligence or operational matters," the ASIO spokesperson, who did not respond to further questions, said. News.com.au understands that the people included in the tally have met the threat threshold that allows ASIO or other counter-terror operatives, including the AFP, to apply for warrants to put them under surveillance. But it doesn't mean they are all actively monitored. That reportedly only happens when the agency is satisfied on reasonable legislative grounds that the person in question is directly or indirectly engaged in preparing, planning, assisting, fostering or advocating a terrorist act. State and federal police also monitor potential terror threats individually and share intelligence with each other and ASIO. Hassan Khalif Shire Ali was shot by police and arrested at the scene of the attack on Friday. A Department of Home Affairs spokesperson told news.com.au that the "agencies investigate with a view to determining if or when an individual is likely to turn violent and launch an attack". "It is a reality that even with the most comprehensive investigation authorities do not always get forewarning of an attack," the spokesperson said. "This is particularly true in the case of individuals acting alone." The volume and tempo of counter-terrorism activity remains high, acccording to the Department of Home Affairs. "Agencies continue to address these challenges by using informed risk assessments to enable rigorous prioritisation," the spokesperson said. In some cases, terror suspects are found not to be a domestic threat, following an investigation by the agencies. 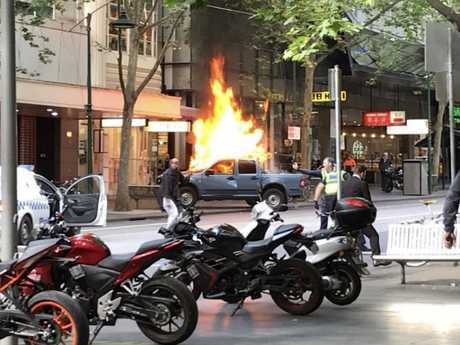 It's to that end Hassan Khalif Shire Ali was known to ASIO before he stabbed to death well-known local cafe co-owner Sisto Malaspina and injured two other men on Bourke Street in the heart of Melbourne last week. Ali was shot and killed by police after driving into the bustling city in a utility vehicle filled with gas cylinders, setting it alight and carrying out the bloody rampage. Ali had his passport revoked in 2015 over fears he was trying to travel to Syria to fight for IS. About 240 Australians have had their passports cancelled on the advice of ASIO to the foreign minister. But according to Lowy Institue research fellow and counter terrorism specialist Lydia Khalil, it's a controversial decision to make a suspected terrorist on a mission stay where they don't want to be. Ms Khalil told news.com.au that "in a lot of cases (suspected terrorists who have their passports cancelled) will shift the target so instead of fighting overseas as they desire they will do it domestically". "It's not always the case as it really depends on the individual and whether or not they believe it's legitimate to do in Australia what they were planning on carrying out in battle zones in Iraq or Syria," she said. "For a lot of individuals those things are quite distinct and so they might go off to a battle zone but wouldn't commit a terror attack. "Others don't see a distinction between a battle field and their home countries and consider both theatres legitimate." According to Ms Khalil, Islamic State has tried to "erase that distinction" over the past few years to encourage supporters to commit attacks in their home countries. "Islamic State has been saying to their supporters that they're doing a service to the growth of the caliphate and attacking the enemy wherever they may be," she said. Islamic State (IS) said via its propaganda arm that Ali was an "Islamic State fighter and carried out the operation", but provided no evidence to back its claim. "In relation to his connections with ISIL (another name for IS) or with any terrorist group … there's not, as I'm advised, a membership of an organisation or a definite link to ISIL," Home Affairs Minister Peter Dutton told reporters in Brisbane. "The working theory is at the moment a case where this person has been downloading information or receiving messages in his own mind about what he should be doing. It's inspired as opposed to affiliation or membership." Mr Dutton conceded it was impossible to thwart all attacks and defended ASIO for not having classified Ali as a high-risk terror threat in 2015. 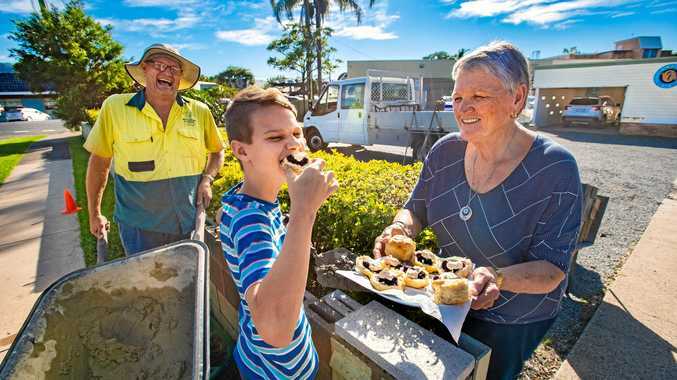 "These are very difficult circumstances to stop,'' he said. "Yes, (Ali) has been spoken to by ASIO and other agencies before. "Police did not have intelligence in relation to this person that he was about to commit an act. "The fact is that many people, particularly where there is a low level of sophistication, where you have someone who can grab a knife from a kitchen drawer … it is impossible for authorities to cover every one of those circumstances." Mr Dutton said at the early stage of the investigation, it ­appeared the Melbourne attack was not directly related to organisations such as Islamic State but was inspired from within. His comments came as the Herald Sun reported Sunday that Ali had drug and alcohol problems, and had split from his wife and become distanced from his family. The Age raised questions about his mental health, quoting a local imam as saying Ali told him he was being "chased by unseen people with spears". 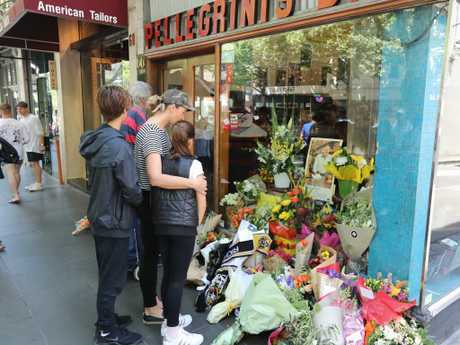 Tributes have poured in for Pellegrini’s co-owner Sisto Malaspina who was killed in a terror attack Picture: Alex Coppel. Mr Dutton said 14 terror attacks had been prevented but seven had resulted in serious adverse results, including Sydney's Lindt Cafe siege where two hostages were killed in 2014. He said the government and ­security forces would review the way they had been monitoring Melbourne terrorist Ali after it emerged he had been on the terror watch list. 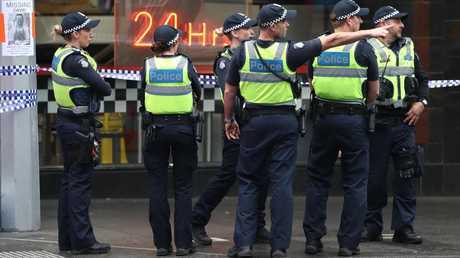 An AFP spokesperson on the weekend said he had not been monitored at the time he killed a man and stabbed two ­others in Melbourne because there had been no disturbing signs to suggest he was planning an attack. 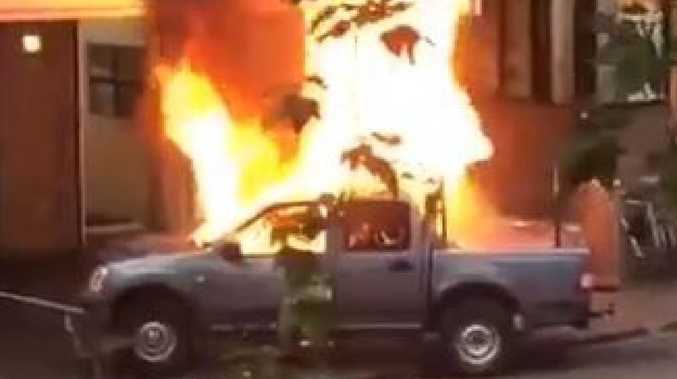 A ute went up in flames on Bourke St on Friday. Picture: Nick Weeks. 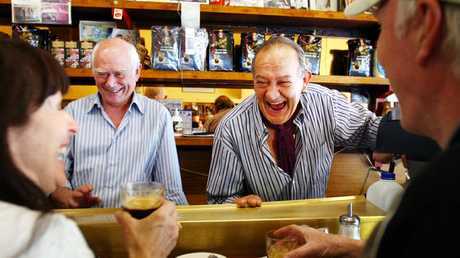 Business partners Nino Pangrazio (left) and Sisto Malaspina (right) at Pellegrini's cafe in Melbourne, Victoria in 2010.